Life is a journey of the mind, body and soul. Success on this journey requires an awareness of who you are, of your surroundings, of your state of being in the world. It requires a willingness to step back and look within to see the “truth,” embrace change and grow as women. It’s time to focus on the energy, the power and the passion of what makes us each unique; what makes us stronger, smarter and more aware in a literal and ethereal sense. NAPW Local Chapters explored National Awareness Month with an eclectic array of networking events designed to harness the inherent power we each possess to follow our true vision, pursue our true purpose and further continue to make a positive difference in the lives of professional women and girls, our communities and the world. To say I am proud is an understatement. Team NAPW has gone above and beyond with impressive awareness initiatives this month, addressing what motivates and inspires us to turn our passions into reality. Exploring what it takes to find your true path to blaze a trail to success, Chapter members reviewed the inspirational book, Wild: From Lost to Found on the Pacific Crest Trail. Plus, a very special presentation from a life coach, addressed what it takes to forge ahead against all odds and take the chances necessary to find your true passion, purpose and path to achievement. Inner enlightenment is the path to success for Trina and her team. 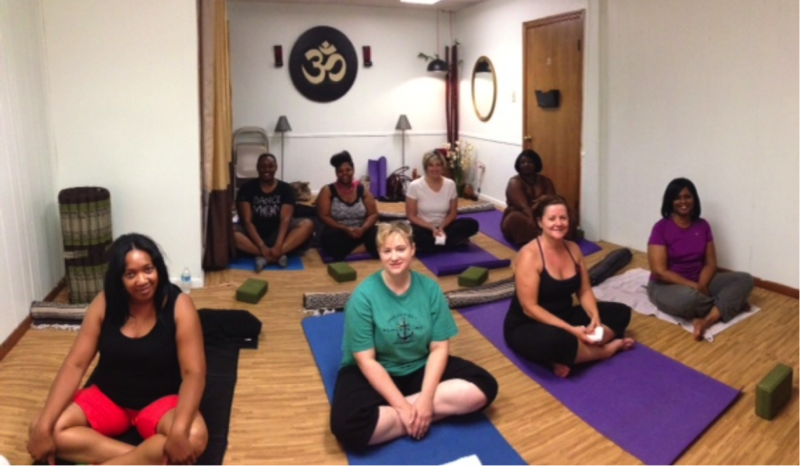 Finding their personal passion through meditation and yoga provided the peace, calm and tranquility necessary to look within. Sharing these passions afterward brought everyone closer. And, because feeding the soul is just as important for personal awareness and growth, they visited a battered women’s shelter to help others overcome adversity and rise to new heights by teaching their newly found skills to women in need. Truly “om”-azing! It was a family affair as Susan and her team explored the importance of family and friends to personal growth and success. Through outings, picnics and other events, members and their loved ones spent quality, fun time together while helping others. Games provided funds for local charities, and a talent show raised money for the NAPW Foundation’s philanthropic partner the American Heart Association’s Go Red For Women campaign. 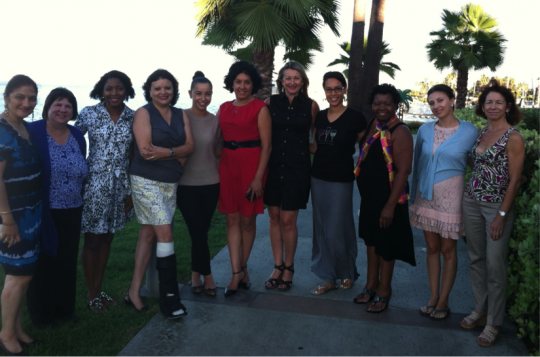 National Director of Chapters, Louise Newsome made a surprise visit to the NAPW Long Beach Local Chapter meeting. Focusing on the beauty of personal awareness, empowerment and soul expression, NAPW members brought their daughters and friends to a fun networking event, learning about what beauty really means. Through a day of makeovers, everyone explored how confidence on the “outside” impacts our beauty within, and how this creates a life of balanced relationships, connections and enlightenment allowing us to follow our true passions. A vision quest provided a journey through the soul with Leigh and her team as they found their true vision, their true passion in life. An inspirational workshop included creative vision mapping techniques to connect with their inner selves as they guided and defined their individual passions. It was as if everyone took a step into the future before it happened. 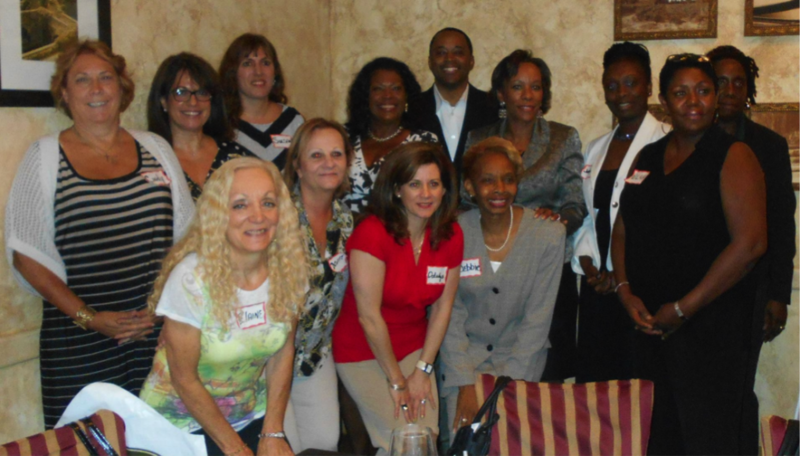 Believing that passion transforms our life’s work from a job into a worthy pursuit that truly makes a difference, Sylvia and her Chapter took a creative look at how being financially fit allows us to pursue our life’s passion. Guest speaker, Debbie Wiggins, PhD, presented a “Financial Fitness” workshop focusing on long-term savings and investing for women, how to properly protect your loved ones, how to amass income for the future and so much more. Since financial fitness allows us to help others in our pursuit to give back and remain on a positive path to success, Pembroke Pines joined the Fort Lauderdale Local Chapter to aid local charities. Through an outstanding series of original workshops, including Embracing Your Heart and Soul: Empowering Lives; Guiding Leaders to Pave the Way and Lead Strongly; and Uncovering Your Strengths, led by Lauren, everyone discovered personal awareness and explored their personal passions. Taking awareness month to another level, members explored their passion for charitable contribution by participating in Operation Sunscreen 2014 to provide essential sunscreen products to our soldiers overseas. Way to go Morris County! Thank you Team NAPW! Your dedication and commitment to find the power of your personal and professional passions and use that energy to positively influence others is an inspiration to us all. As this exciting journey we call life continues, I am honored to travel the road to professional and personal success with all of you! How has National Awareness Month impacted your professional and personal life? Share your comments below.